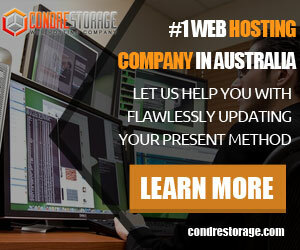 Condre Storage is a web hosting company based in Australia. 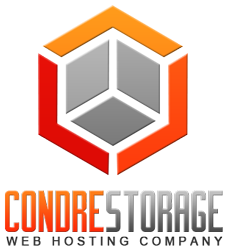 Established in 2003, Condre Storage prides itself on providing an easy to use platform, with an amazing customer experience. 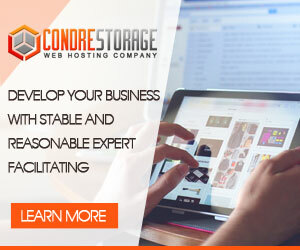 With clients not only from Australia but also from all over the planet, Condre has had a track record of satisfied customers and a consistently high-quality hosting service. At Condre Storage, we have a unique culture, where members of our team are not only encouraged to communicate and engage with each other but also establish strong relationships with our customers. We realize and recognize how our market is always changing, with new technologies and innovative interfaces, so we’re continuously investing and working on improving our products and services. Our staff is encouraged and is always willing to help you out, with any question or issue you may have while using our service. We have a team of experts that is responsible for all technical aspects of your hosting account, to make sure that you’re always focusing on running your business, and not making sure that your site is running smoothly. We’re here to help. We’re available at all times to discuss any issues you may have, so don’t hesitate to reach out to our friendly staff. If you’re having issues with your current hosting solution, get in touch with us, and we’ll most likely offer you an incentive to move over to us!